So Saturday was the day! Our first show with doll clothes and my first show since 2012. We networked, made future plans, met new some new followers, and received some good advice. My newest friend, Kathlean from Fantasy C, will be attending the Treasure Valley Renaissance Fair next Saturday and my family was already planning on visiting so that will be awesome. Her and her husband encouraged us to keep going and attend more fairs because there are so many out there and we have great product. Mom also met a talented lady who is a master seamstress that enlightened us on copyright laws (we are in compliance, we were just unclear about other pattern makers). We plan on attending the Nampa Art Festival and desire to expand to Renaissance Dress etc. so we can have a theme at certain events. I just want to encourage all you new makers out there to keep on going, don’t give up after what seems like a lousy show. Network, gather emails, broaden your social networking presence, and selling outlets. New networking buddies, new followers, and leads are priceless. Even though we financially did not make our money back, we gained so much from this show. Thank you for your support and I can’t wait to see you all soon! Be sure to follow me on Facebook, Pinterest, Instrgram, Etsy, and here. 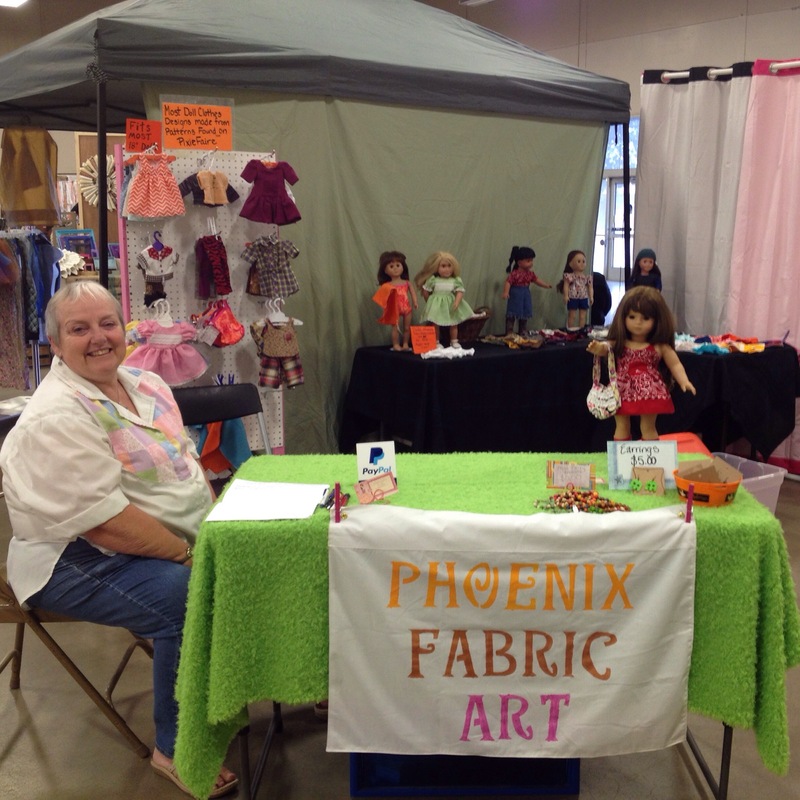 Just search for Phoenix Fabric Art.